Includes external skin adapter with spine and bone marrow aspiration sites. Incorporates a flush system for demonstrating actual fluid aspiration using liquid. Includes external skin adapter with spine and bone marrow aspiration sites. 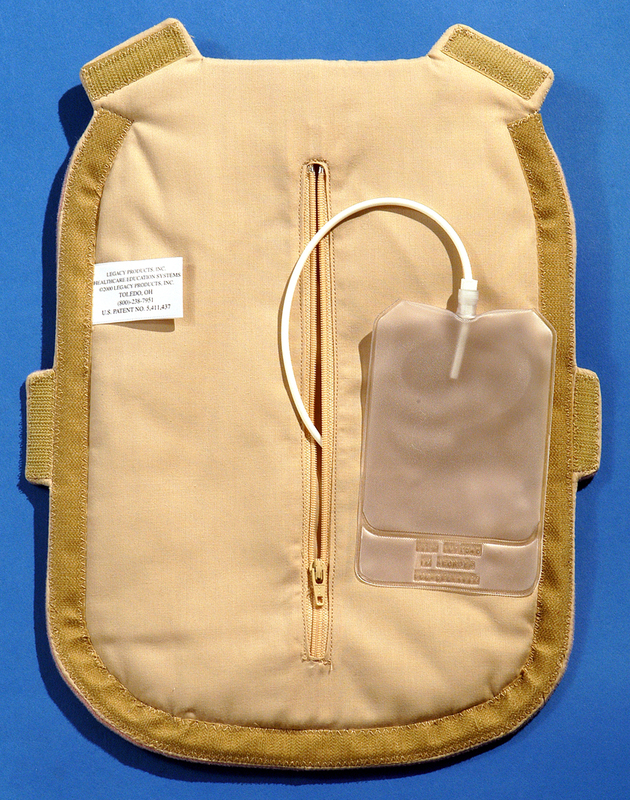 An embroidered spine and iliac crest has corresponding sites and can be used with the adapter.